In order to make any changes in your details like the address or bank details, or want to discuss anything about your account, the customers are required to get in touch with the Ikano Bank customer services team at the Ikano Bank UK phone number 0371 781 3080 here. The Ikano Bank customer service opening hours are from 8:30AM- 8PM Mon- Sat and Sun 10AM- 1PM. 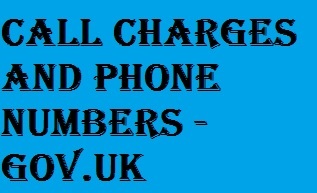 Some other contact details can be checked by visiting the page. Various questions along with their answers concerning your account, store cards, payments, loans etc have been listed for your assistance via the Ikano Bank help page. Any of the questions about the personal loans can be discussed with the advisors at the Ikano personal loans contact number 0344 856 5743 here from Mon- Sat 9AM- 8PM and Sun 10AM- 1PM. If you prefer to write, you can send in your requests by mail at the following Ikano UK contact address. You can get the quotes for the loan and apply online via the page. The personal loans are being offered from £1,000 to £15,000. If in case the loan application has been declined, you can ask the advisors to review the decision again by sending the request at the above mentioned address enclosing all the financial information and the copy of your credit report. If, in case you wish to cancel your credit agreement, then this can be done within 14 days by calling the Ikano Bank loan contact number 0371 781 3058 here from Mon- Sat 9AM- 8PM and Sun 10AM- 1PM. The customers can easily manage the services online by signing in to the Ikano Bank savings account via the page. Being a Swedish bank, the savings are covered by the Swedish Deposit Insurance Scheme managed by Riksgälden (the Swedish National Debt Office). For any concerns, the Riksgälden team can be contacted at their phone number +46 8613 5200 here or via the email address [email protected] or at their address: Riksgälden, SE-103 74 Stockholm, Sweden and more information can be checked by visiting their web page. The orders can easily be placed online using the web page. However, if you have not received the online order, or it faulty or incorrect, then you are required to contact the store at which you made the purchase. The contact details of the store can be checked via the page. If your store card is lost or stolen, then you are required to quickly call the Ikano Bank store card number 0371 781 3080 or +44 371 781 3080 here if calling from outside the UK from Mon- Sat 8:30AM- 8PM and Sun 10AM- 1PM. Online- the payments can easily and safely be done online by signing in to your account via the page. Even a debit card payment can be done online without signing in via this page but this page will not list any of the account details. Phone- the customers can call the Ikano Bank payment number 0371 781 3080 or +44 371 781 3080 here when calling from outside the UK. The Ikano Bank customer service opening hours are from 8:30AM- 8PM Mon-Sat and Sun 10AM- 1PM. Bank Account- the payments can be done directly from the bank account by standing order, internet banking and other automated transfers. Direct Debit- the direct debit plan can be set up for payments by calling the Ikano Bank UK phone number 0371 781 3080, which allows the amount to be deducted automatically from the bank account every month. If you are suspicious of any communication received via email or telephone from Ikano, you can quickly get in touch with the Ikano customer services at the Ikano Bank contact number UK 0371 781 3080. Any kind of scam message can also be reported on the Action fraud web page. If at any time, you also believe that you are a victim of identity theft, you can use the CIFAS Protective Registration Service. You can contact the CIFAS service either at the telephone number 0330 100 0180 here or via their email address [email protected] or visit their web page for more information. After registering for the service, CIFAS members such as lenders will carry out extra checks whenever anyone applies for a financial service using your address. You can sign in for the Ikano Bank newsletter via the page in order to receive advice and updates for an increase in business sales or solutions for the business growth. The interested candidates can search and apply for the jobs online by visiting the Ikano Bank careers page and if you wish, you can also send the applications by email via the Ikano Bank email [email protected] and the recruiting staff will revert back as soon as possible. If you wish to submit your comments or feedback about the Ikano services, you can certainly do so via the Ikano feedback page. In case, if you are suspicious of any Ikano email, then you can quickly report the same via the page. Ikano Bank, P O Box 10081, Nottingham, NG2 9LX. Any of the above complaints can also be submitted online using a contact form via the page. Ikano Bank, PO Box 10081, Nottingham, NG2 9LX. The Ikano phone opening hours are from Mon- Sat 8:30AM- 8PM and Sun 10AM- 1PM. If, in case you have any concern regarding how the Payment Protection Insurance (PPI) policy was sold, you are just required to download and complete the PPI questionnaire via the page and send it to the above mentioned Nottingham address. The form is also accessible via this page. A final response letter will be sent within 8 weeks of receiving the complaint. If you are not happy with the given outcome, then you can refer the issue to the Financial Ombudsman Service (FOS) to investigate further. The FOS team can be contacted at their free phone number 0800 023 4567 or 0300 123 9123 here or via the email address [email protected] or at the address: The Financial Ombudsman Service, Exchange Tower, London, E14 9SR and more related information can be checked by visiting their web page. Regarding the online transaction disputes, the customers can also refer the case to the European Commission online dispute resolution platform through the page. Ikano Bank offers smart banking and financial solutions, being the members of the Finance and Leasing Association (FLA) and thus subscribe to the FLA Lending code. Across the United Kingdom, there are more than 70 retail partners covering all sectors such as fashion, furniture, opticians, home improvements etc. The Ikano Bank customer services are accessible for all seven days of the week for help and advice and the customers can easily contact them online , by mail or over the telephone.